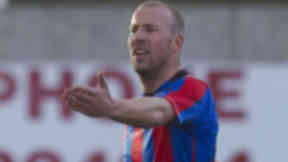 Caley Thistle’s record appearance holder has crossed the Highland divide. 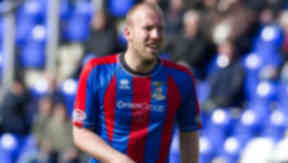 Ross County boss Derek Adams has hailed the capture of Ross Tokely after the defender left Inverness Caledonian Thistle. The veteran defender has signed a one-year deal with the Staggies after ending his 16-year association with their Highland rivals. Adams said Tokely's experience and physical presence will be a key part of the Staggies' SPL challenge. He said: "Last month Ross wouldn't have been expecting to be lining up in the Highland derby for us next season, but we've seen over the years a number of players crossed over in both directions. "At the end of the season I didn't expect him to be leaving Inverness but we were delighted to have the chance to speak to him. He brings great presence to the back line which will be invaluable for us. "We are starting to see the team come together now. We will add more to the squad over the coming week." Tokely first joined Inverness in 1996 but said he didn’t want to spend another season on the bench. Speaking at the weekend, Tokely claimed the money on offer to stay at Inverness made him feel like he was not wanted by manager Terry Butcher. He added that the contract offer was "disrespectful" before expressing regret he wasn't given the chance to say goodbye to the fans. 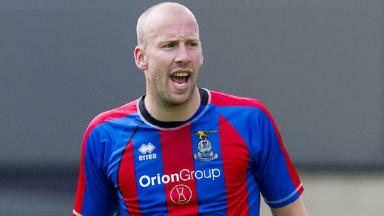 The 33-year-old made 32 appearances last season, 29 of those in the SPL. He will team up with former Caley Thistle defender Grant Munro at Victoria Park.